"e, r, som, sa" is shown to be at home in an instant. 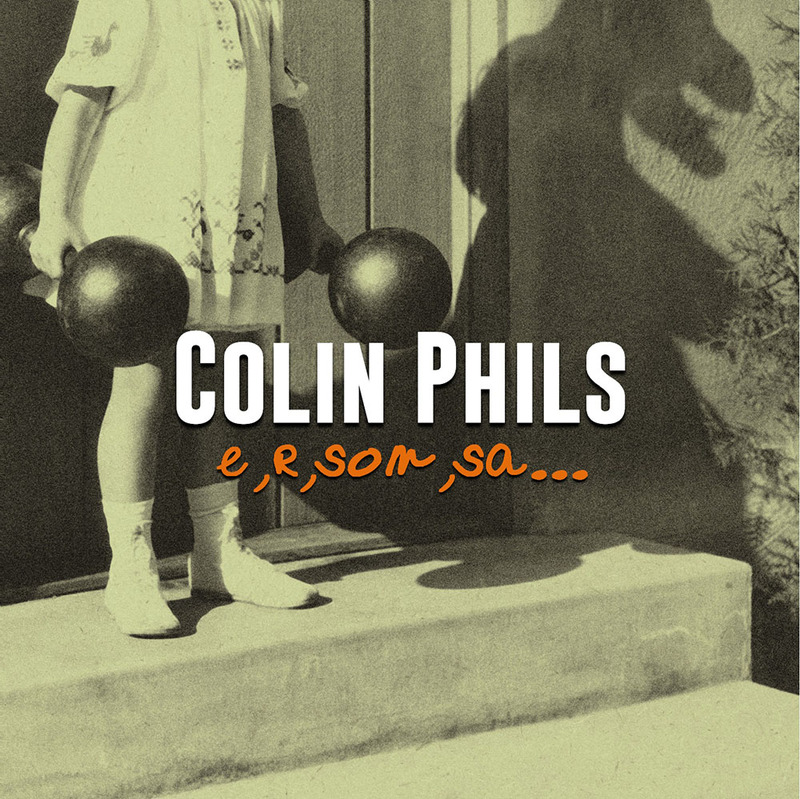 Colin Phils’ latest album is introduced with a Chinese hymn-like song, flowing seamlessly amongst the bustling street sounds of Shenzhen. Perhaps no more than a nod of the collective band head towards their recent hometown, but the way in which the albums opening is executed is admirable to say the least. The tumultuous soundscape is quickly overcome by the true pioneers of the album though, as a math-rocky guitar presents itself in crescendo. Soon, the lonesome guitar is joined with synths, bass, and drums, until the texture is so thick you could cut it with a knife if it wouldn’t be an insult to the bands incredible artistry. It all fades away to a sparsely orchestrated passage, that sounds as if it was at first recorded underwater, then a recording of that recording was played on a phonograph and recorded again in the ambient dreams of a LSD user. Overall making for a fantastic opening track. With an electric jolt, the next tracks nature suddenly explodes into a rolling and upbeat combination of rhythm and melody. It’s my preference to have the tracks organised in an album to show development so that the songs transition more smoothly from one to the next, however I quickly excuse the band for their minor transgression upon hearing Ben’s vocals, pleasant to the ear and soft, a timbre comparable to that of early ColdPlay’s Chris Martin, though certainly singing lyrics considerably more meaningful and poetic than ColdPlay’s latest. "I walk around this empty room/ It’s still whispering of you/ If this is bad we don’t know what that is/ But I think we can pull through." The next track, Time Well Wasted, gives Karyn a helpful shove up from harmony to lead the melody. Karyn’s voice falls heavy on something touchingly soft, like a Boulder rolling down a mountain of sheep. The lyrics express a new level of angst, existential, "Faster and faster and faster we go nowhere", and the band does it so beautifully. The soundscape evolves throughout the song, exploring a range of emotions and textures throughout, until it goes gently meandering away into a guitar solo which fades gracefully into the distance. An impressive display of the bands musical dexterity. I Think Your Name Is a Good One gives somewhat confused lyrical matter an upbeat and catchy package. The guitars four bar motif is repeated often enough throughout to reinforce the chorus and give it a good sing-along-vibe, though leaving the impression that the track is little more than the musical equivalent of a pulp-fiction novel. At over seven minutes long, To The Sands is double the duration that the average listener nowadays is built to be comfortable with listening to. However, that’s the beauty of Independent bands, they can do whatever they want, which is why the song is so strong. 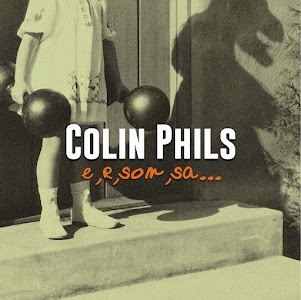 Outside the boundaries of the music industries time constraints, Colin Phils produces a song that shines bright with ingenuity, and brings an intensity from the vocals which is unparalleled in their other songs, making the duration a pleasure, rather than a burden to listen to. Don Cabs is a show of appreciation towards one of their math-rock influences "Don Caballero". The texture is immersive and their use of alternating stereo streams to reach the songs climax is a nice touch, perhaps one that could be used a nice touch more. How they reach climax exhibits the flexibility and inventiveness of their sound. Rhythmically, the song generates a need for head bobbing, yet the band constructs it with a consistency that is hard to put your finger on. Happy Clapper gives listeners the duet that, if you’ve listened to the previous tracks, you’d be wondering "when are Ben and Karyn going to start singing and together and make beautiful, beautiful music?". The answer is this song here. The guitar work is easy to listen to, and the drums keep it minimal, lifting up the pairs vocals and lyrics "It’s bright it’s happy, but no one’s laughing here/ The one’s I love are stuck in fear, in fear, in fear." Despite the melancholy words, I’m glad to say that the overall mood of the piece never transpires, as so far the album prompts a period of introspectiveness, and thoughts that wouldn’t usually arise without Phils encouragement. I was pleasantly surprised when their penultimate track, Coral, brought me the sensation that sand was being constantly and rhythmically funneled in and out of my ears, so that instead of hearing a record produced underneath some watery ceiling, I was at the bottom of a seabed listening to it. I’m glad it’s a relatively short song however as by the end the effect seemed a tad overused, making me want to surface from my position on the ocean floor and leave their enduring slishing and slooshing. The production quality of the recordings are shown to be quiet impressive at this stage in the album. At first, I thought I had skipped the track back to Moonstone. The intro seems so similar it’s a wonder that the band didn’t think it appropriate to alter it slightly to make it more distinguishable. After my initial disappointment, Best Foot Forwards picked up to a fast, upbeat and catchy melody, featuring a well organised instrumental section that’s good fun to listen to with strong bass support. The songs lyrical matter is refreshing and strong, "Try to put my best foot forward/ but it ended up in my mouth/ Tried to play my cards so perfectly/ But they ended up on the ground." Best Foot Forward would make for a great close to their so far impressive album, but the opening I feel doesn’t do it justice.